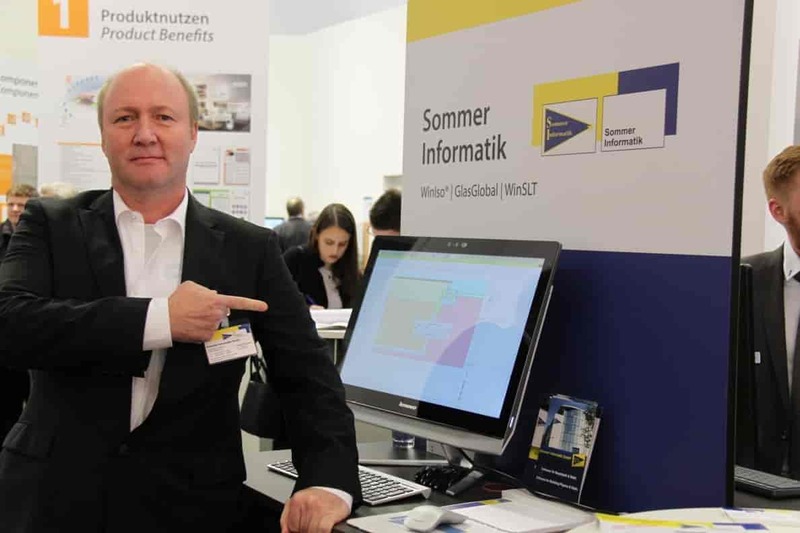 Sommer Informatik – presents software news at the “Fensterbau Frontale” in Nuremberg! From 21.03. – 24.03.2018 the world’s largest trade fair for window, door and facade construction took place in Nuremberg. Sommer Informatik GmbH presented their newest developments in the field of building physics calculation of windows, facades and glass. The Sommer informatik impressed by the new functions of the WINISO® software solution. WINISO® was developed in connection with the new version of the ISO 10077-2 standard and is already being used successfully by a large number of national and international companies. In addition to the existing functions such as the calculation of heat flows, thermal bridges, isotherms and Uf values according to EN ISO 1077-2:2018 or the highly automated, detailed CAD processing, the Sommer Informatik team presented the new functions for steam diffusion calculation and the calculation of Ufr, Ueg and Ucg values according to ISO 15099 and NFRC. Even visitors who showed interest in the “GLASGLOBAL®” software for glass design according to DIN 18008 were not disappointed. Mr. Dipl.-Inf. Robert Sommer (Managing Director of Sommer Informatik GmbH) presented the new add-on “shear modulus”. Sommer Informatik GmbH presented the new version with updated spectral data, new composite layers e.g. Trosifol® and the update of EN 13363-2 to the new standard EN ISO 52022-3 to interested parties of the software “WINSLT®” for the calculation of solar radiation, light transmission and temperatures in glazing. With this year’s Fensterbau Frontale in Nuremberg, Sommer Informatik GmbH was able to establish important contacts and achieve numerous promising inquiries.